A definitive guide to increasing your endurance for boxing! 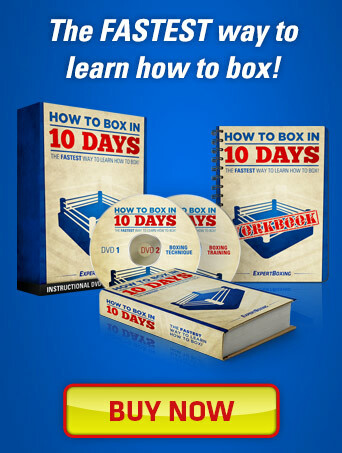 Get educated, get conditioned, and never get tired in the ring again! One of my biggest weaknesses in all sports was not because I wasn’t good enough. It was almost always because I just didn’t have the energy to consistently compete. In the boxing ring, I was always getting tired almost immediately after the bell sounded to START the round. Nothing pissed me off more than seeing openings in the other guy’s defense and then not having the energy to throw punches. I was often found at the end of the rounds cowardly hiding behind my defensive shell because I just didn’t have any energy to throw back. Eventually, I just got tired of losing fights when I knew deep down inside that I was the better fighter. After getting more experience, I finally realized boxers get tired for two basic reasons: One reason is that the boxer is not conditioned well enough (simple fix). The other reason is that the boxer is panicking under pressure and beating himself down mentally (not-so-simple fix). Unfortunately for me, I was suffering for both reasons and now I’ll tell you how to overcome them. For this article, I’ll focus on just the physical conditioning. I’ll leave the mental conditioning to another article. This part is real simple. You need to do nothing more than these basic tips to increase your overall physical endurance for boxing. Run 5 miles a day AT LEAST 3-5 days out of the week. Don’t run less than five miles and don’t burn yourself out by running everyday of the week. Save 2 days out of the week to allow your body to rest and heal. Running is among the BEST ways to raise your cardio and is recommended by just about anybody. There is are very few if any substitutes for it – swimming, jumping rope. Fast hands and quick feet during the last 30 seconds on the heavy bag. When you do your rounds on the heavy bag, listen for the bell that tells you there’s only 30 seconds left. Right when you hear the 30-second bell start punching the heavy bag non-stop with nothing but fast and straight punches. They don’t need to be powerful or big punches. 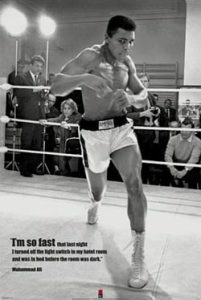 You just need to throw non-stop punches at a very fast pace. At the same time, you can OPTIONALLY lift your feet up and down off the ground as if you’re running in place as you non-stop punches at the bag. This will quickly raise your arm endurance and overall cardio as well. Again, the focus is SPEED and non-stop punches. Throw an endless combo until the round is over! Don’t forget to keep breathing! Jumping rope is one of the best cardio exercises. It’s fun and keeps your mind sharp. It forces you to learn how to relax while performing complex footwork manuevers. Way more challenging than running. Do it all the time! Use a few rounds on the jumprope to warm-up and warm-down on your workout days. Working the speedbag will increase your arm endurance. Do at least 3 rounds on your workout days. Don’t get carried away and try to go too fast. Just a slow but steady pace without a break makes the bigger difference. Physically, you’re just going to have to put in the work. There is no way around hard conditioning when you’re training to be a serious athlete. Boxing is not an leisure sport that you can do twice a year when the season comes around. It requires a bit of dedication and if you put that effort in, you’ll reap the benefits. Get to training and thanks for reading! I think sprints are the best workout to. A great drill that I started to do do is called lightposts. You start of jogging when you come to a lightpost sprint until you reach the next light post. It kills two birds with one stone and if done properly, is one of the most physically demanind cardio workouts you can do. I would only do it for about three miles not as long but double the intensity of a 5 mile jog. Springs will definitely help your boxing performance. I do them as well as many other boxers. Thanks for the compliments, Nick! this is a brilliant article. But as you might no amutuer boxing is 3 rounds of 1:30 so will the need to be running 5 miles do able. I run 3 miles 5 timesa day ?? thanks for posting, but what about Tabata intervals?? Thanks for the compliments. About Tabata intervals, they are great! I actually learned training routines back in the military and at other boxing gyms but I never knew the official scientific name of the style. In the military, we use to do 15 push-ups in 15 seconds, then rest 15 seconds, then repeat. In the boxing gym that utilized the “Tabata intervals” you mentioned, they had 2 fighters on each heavy bag alternating between punching and holding the bags for each other every 15 seconds. In short, tabata intervals definitely work. They’re intense and do increase your endurance and overall athletic performance! the jump rope…. totally a workout! i was in O.Y.C.P and they maid us run a lot now i got into boxing and i keep working out it really helped me a lot!! 4 those that dont know wats o y c p it a 6 month military program. Now im 6-0 hopefully i make it 2 something. 3 miles at a 6-minute mile pace is FAST! Do that one. Hahahaha! Just stick to whatever pace you can do and keep it up at 3 miles for now. Too lazy to see if someone else posted this, but I’ve also heard that breathing from your stomach instead of your chest helps. @Brandon W – You’re absolutely right. Deep full breathing reaches the stomach not just the chest. There’s a huge difference between running on a treadmill and running on the ground. A treadmill already does the horizontal motion for you so all your muscles have to do is jump up. When you run on the ground, you have to use muscles to pull yourself forward. More muscle and more energy is being used. Running on flat ground and running uphill is a better exercise in my opinion. I will admit that running on a treadmill may allow you a better cardio exercise (testing your heart), because it allows you to move quickly even though you may not have the muscle for it. It may be a better workout for your heart, but certainly not for your muscles. Johnny your articles are great and its midnight im still reading this i feel like i will lose so much missing an artivle by the way on the guy who posted abt the threadmill, ittrue, its lesser workload compared to an actual roadwork but its just good to include varietyanyways tokeepyour body guessing and thereforeimproving, and since we are talking abt variety why not set days when you run the threadmill, then asphalt, soil, stairs (like the bleachers in a track court), or the most sadistic of all :a dirtbike course or by the beach on the sand, you can also make it mire challenging to run onthe partwhich has water. Thanks i hope my pst will help kudos! The thing about running on a treadmill is that if you have it set to a flat or 0% angle it is actually like running slightly downhill which we all know is much easier. The treadmill must at least be set to a 2% incline to simulate running outdoors on a flat surface. Running outdoors where you have to navigate potholes, uneven surfaces, etc., provide more of a workout than a treadmill set on a 0-2% incline. However, there are a line of treadmills which can give you inclines from 0-50% and those are some steep inclines especially if you don’t have access to hills where you live. Believe me you won’t last long sprinting up a 50% incline on a treadmill. Even more sadistic than running in the sand on a beach is sprinting up sand dunes, and then jogging backwards down them. Try also running in the water while you’re at the beach. Try running in shin deep water, up to waist deep water. Johnny, can intensive heavy bag and double end bag training with footwork be substitutes of running for conditioning ? For example 7 round heavy bag and 7 rounds double end bag with full effort. @Radd I can actually do 10-15 rounds on the heavy bag and I can even string together 2 or 3 15 min rounds as well. Let me tell you though, when I got in the ring my legs were not keeping up with my upper body and I quickly ran out of steam. It’s important to get that intense workout for your entire body and not just focus on bag work. Make sure to do some leg work like run, biking, or jumping rope each time you hit the bag. @Radd – Most coaches would tell you bag training cannot substitute running. It can burn the same number of calories or make you just as tired but I just don’t think it’s the same. That’s like asking me if speed bag training can replace heavy bag training if you punch harder. I’ve heard some people try substituting running with jumping rope. 😥 does 5 miles go for the umm heavyweight class too? or heavier guys as well? also where can I buy that interval timer that rings on its own? @uso – you can do 3 miles if you want. I must say that running is much easier than fighting. I thin you’re looking for a pocket timer? You can go to titleboxing.com for that. @adnan – I would try doing jumprope for the same amount of time and seeing if that helps. It’s kind of hard to guage. Some people use more energy jumping rope, others use more energy running. Is it possible to do swimming oppose to running for a amateur boxing .this ankle pain is really discouraging, it starts to tighten up after 2miles on pavement .I fractured my ankle two yrs. Ago. I need some help replacing road work.. Swimming is a great replacement! First of all, thank you very much for a great site and lot of very good articles. But I have a question about this article. Isn’t 5 miles 5 days per week is kind of too much? With average speed ~7,5 mph it’s 40 minutes of pure running (while boxing training session usually no longer than 2-3 hours). Also it lacks sprints and special running exercises. But fighter’s endurance is all about “blasts”. IMO, 2-3 miles with 5-8 100m sprints on the run and special running exercises in the end of distance is much better and takes considerably less time. Like, you run half of a mile at your average speed, then 100 m sprint, then rest for 300-400 m at average speed, then sprint again, repeat 5-8 times, then run rest of your distance at average speed, then do not stop, do some running exercises: running back-forward, side-jumping, running with taking knees up high, etc. Finish with 15-20 jumps from crouched position and then 30-50 squats. Sorry for my bad english, also I am not sure about correct english terms for exercises I mentioned. tnzhngm, interval runs are definitely more valuable than basic distance runs. The distance runs are basically easy stuff that’s the bare minimum….any fighter can do that easily once they get in shape. The interval runs give you that extra edge if you need it. Some people don’t function well with interval runs and prefer to do interval work using other exercises in the gym. The sprint routines you explained are commonly used by many boxers, though. Johnny i like your advice it is really helpful but i have been doing intervals i havent done much sprints but i am starting now i dont know what happens but it seems like if i forget to breathe or something when i spar because once a minute or two pass i am outta breath and cant swing much is it because i am moving too much or do i need to include my sprinting more often? Luigi, the problem is because you’re not relaxing while you fight. Fight at a slower pace so that you get use to breathing. Many fighters hold their breath when the pace is too fast for them. im 15 and i fight at the middleweight category but i cant seem to keep my weight? is it my diet or is it because i train to much? i jog 10 miles everyday, 5 miles in the morning and 5 in the evening, i have a swim 3 times a week for a few hours and i do 200 pushups, sit ups and pull ups a day. then i obviously train, but do i need to increase my diet or train less? Your body is adapting to make you healthier and more fit. If don’t like the results, change what you’re doing. Eat more or train differently. Thanks for the great articles. Is the amateur workout up on the site yet? No, not yet Drew. I’m putting it aside for now. I’ve got other ones that are far more important coming out. In the meanwhile, the easy boxing workout is more than enough for most people. That’s good conditioning in general, definitely helps overall body endurance. when i jog long distance should i jog slow or at a face steady pace? i usually see alot of world class fighters jogging at a very slow pace, which is the best jogging pace in your opinion? You have to do bits of both. On camera the fighters jog at a slower pace so the crew can follow him but quite often we mix some sprint intervals into the running workouts. Especially the heavyweights “J.” I read one time that Larry Holmes would run his 5 miles at an 8 min per mile pace. Now running 5 miles in 40 minutes ain’t bad when you’re a weekend warrior, but for a world class athlete, and a world champion boxer at that, it’s pretty slooooow. Of course we don’t know what kind of course or route he was running, like whether it was hilly etc. Contrast that to a 1980’s bantamweight Scotty Olson who ran his 5 miles at about a 5:30 min per mile pace. I remember watching clips of Joe Frazier running and he looked to be JOGGING pretty slow instead of RUNNING at a brisk pace. will ab exercises increase your endurance? Yes, they will. It’s part of the reason why pros do so much core work everyday. Hi. I was wondering about how long 5 miles should take u get in a good condtion? Endurance has always been my biggest problem. I am about to get in condition, and please reply and tell me how fast I should run those 5 miles 5 times a week? It’s just a general guide. Start slow and then keep improving your speed. The faster you can do it, the better your cardio capacity. Mix it up and try interval sprints as well. There isn’t a specific time, just keep trying to get better. Love this site! It answers a lot of my questions that i have been thinkin of for sooooo long time. Great article, love the site. Thanks alot. Where can I find the article on the mental conditioning? Scroll to the very bottom of the site and click on “Mental Training”. the article is good. but for the beginners. real tips for endurance lies way beyond this article. thumbs up for you man. Hey Johnny, do you know if anyone can be a part of the USNA Boxing team? I understand you were in the military and I’m looking to go to the USNA in a year. You have to at least be in the military to join the military team. I’m not sure if there are tryouts or something. thank u jhonny superheavy weight boxers can swim instead of running right? but how many hours? Try swimming for the same amount of time you would have been running. Hey Johnny! I was wondering about; is it really necessary to run like 3-5miles, 5days a week to be in real good shape for “boxing endurance”?? I’m kinda used to make all my displacements on a moutain bike (at high pace tough ) something like 15 to 20-22 km/day depending of what are my activities….I’m used to box like 10 to 16hours/week (not only sparring but mitts train or footwork drills + pushups & crunch/core trainning) My everyday work makes me use alot of my arms, shoulders, legs, back muscles and balance to carry heavy boxes (from 25 to 100pounds) I’m 5’6, 145pounds amd I’ve been boxing already for one year, no am contest only 5-6 sparring bouts…. should’ I put some running things in my “life routine”? Nothing is necessary. It’s a suggestion to help you get to where you want to be. If your endurance is great, keep doing what you’re doing. But if it’s not, then perhaps you can try my suggestions. The only way to know how your endurance compares to others is to get into the ring with others and see how you do. Thank you! I compared myself to others in some sparring (I changed of gym and it’s really not the “sink of swim” technique that my other coach had, one more thanks to you) and I can say that I have a really great cardio but I want to push it to the next level, next pay I’ll go buy some running shoes and try to hit the road with some interval runs. You’re a gentleman, a scholar and everything I read form your website helped me alot! P.s. The head-coach of my new gym is the great Remi Bizier, father & trainer of Sandra & Kevin Bizier…. In 3 sessions I feel kinda like I’ve learned more than the year I spend at the other place. P.s.2 Sorry I’m abusing but THANK YOU! I’m really happy for you, Henry. Keep training! Hey Johnny great site I just started boxing 2 months ago and I really enjoy it. I was wondering If you knew how to prevent shin splits because I had to stop running because of them. I want to start again as soon as possible. I was thinking it might have to do with the way I’m running and the shoes I’m wearing. I have a pair of basketball shoes that I run in that don’t have very much cushioning like regular running shoes. They also make it harder to run on the balls of my feet so when I get tired I start to heel strike. I don’t have very much money being 15 and my parents are really tight on money so any advice would be greatly appreciated. Thanks and your site is amazing hahah. 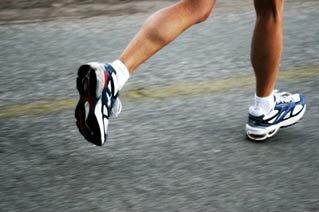 Shin splints can be a result of many things, even if you do everything right. Avoid over-training and always maintain proper running technique. Heel strike is really bad, don’t do it. Could I get some advise? I’ve been having horrible sparring sessions lately, due to running out of gas way too early. It’s tough sinceI become an easy target for my opponent, and lose everytime just because my stamina defeated me, not my adversary. I do run on ocassions and actually I’m not that bad ( I run 3 miles in about 21 minutes on the road). I can skip rope for long periods of time. is this something I have to live with? Endurance is more than simply physical conditioning. There are many other factors such as technique, mental relaxation, and experience. Keep training and make improvements little by little. Great article! I used to run 5-6 miles 3-4 times a week. That got old though (as it was just a repetitive motion), therefore I lost motivation when it came to my cardio workouts. Then, my coach told me to intenisfy it, and I started doing interval running (80% (heavy run)for 3 minutes, 20% (light jog) for 1 minute) to better simulate my hearts work rate in a fight. Boy, let me tell you, my stamina level flew up after a month. Sounds simple, but a lot of effort and heart is needed to do something like this. Have you looked into the effects of interval training yet? Yes, I’m totally an advocate of interval training. It’s incredible for developing power, speed, stamina, basically better cardio. It’s the standard training for raw athletes like track & field runners. Hey Johnny. I love the site and come here often! of the routines the pros at your gym or pros in general use. like for them how manny more miles do they run than this? And does this work if I have asthma? Start with the workouts I share here on the site. Doing a pro workout when your body is not at pro level is only a shortcut to injury. Start easy and increase the difficulty slowly. I don’t see how having asthma would make good technique and conditioning any less important for you. Understood, thank you. I will start following them. Love the site very helpful although me. Ekmg a heavyweight its very hard to keep up/ full fill some workouts techniques any advice? Are you saying you need more cardio? Please check out my updated guide on increasing your fighting endurance. Hello, I want to start boxing but, having been inactive for I have a rather low endurance. I want to know what would be the best exercise to improve my endurance. For information, running 2.6 miles in 33 minutes is quite difficult for me and exhaust me . Running, skipping rope, bag work, mitts, sparring. If you’ve inactive, then it’s supposed to be hard. Keep doing it. I hope you weren’t trying to ask me for “easy” exercises…because those won’t do very much for you. Try some sprint interval workouts and there you go! Hey Jhonny , i am a bigner for boxing . I have good punching power , but don’t have stamina to fight cotinously . Plz tell me something to increase my stamina because 5 is a great deal for me for first time . Working on throwing lighter punches, Jimmy. Just because you have great punching power doesn’t mean you have to throw hard punches all the time. Throwing powerful takes energy. Be smart so that having more power is an option, not a trap! Hi johnny been reading your posts for years now really great stuff i appreciate everything you do for the sport and us boxers. Anyway. Im omw back from a bad knee injury and. I can do everything except running in any form it just gets too painfull. What can i do to supplement for this major missing peice of my routine ? Agan thanks for all of the articles. Andrew, many people will swim instead. It’s a great cardio exercise that’s easy on your joints. do you recommend running before boxing training? Some people do and some don’t. It’s up to you. Many people would argue it’s a terrible idea. I would say it’s ok if you’re using the running as a warm-up. But I probably wouldn’t do intense sprint intervals before a full boxing workout, as that would take away from the boxing workout. Here’s my home workout to maintain. My goal is to be fit and maintain self defense skills without overtraining. I am 55, but pride myself on being able to spar 3 good rounds on notice by following this regiment. Any input or suggestions welcome. Tues-Fri: Boxing Rounds workout: 10-3 minute Rounds total. In between rounds I stretch for 1 minute. Wend-Sat: Strength Workout: 30-40 minutes using bands, dumbells, and bodyweight exercises. I keep workouts under an hour to avoid over working and because of my age. After 3 weeks, I take 1 week off and simply walk and stretch 5 days a week for a total time of 30 minutes. I have walked into boxing gyms and gotten through 3 decent rounds of sparring by using this workout and not having ANY sparring prior to. Although timing is slightly off, my cardio and punch output is OK. I LOVE that you take 1 week off with only walking and stretching. This is something many young fighters don’t understand. You have to give your body a break! Also bad knees, not recommended to me jump rope nor run. Biking or swimming is great!